If you need to send us a message you can do so by clicking the link below. Keep up to date with all the events we are participating in. Check out our calendar. 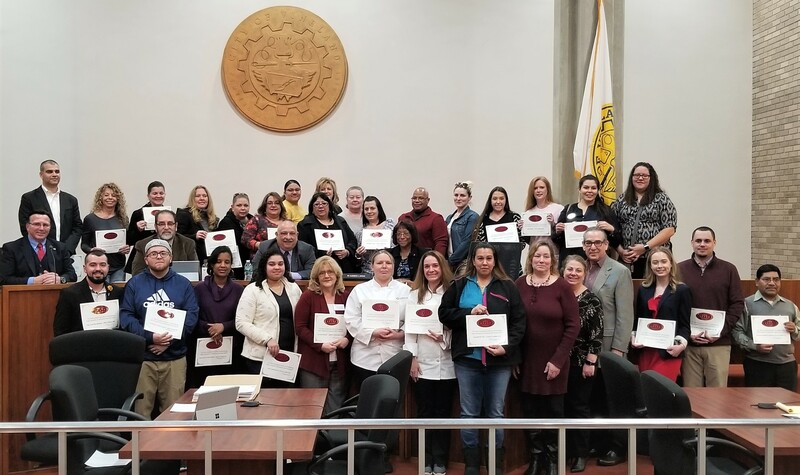 Vineland Health Department’s Five Star Award recipients were recognized at the March 12 regular Vineland City Council Meeting. The Five Star Award is a recognition of those food establishments that go beyond minimal code requirements and exhibit exceptional efforts in sanitation and food safety techniques. ​In order for a facility to meet the criteria they must have received only “Satisfactory” ratings during the past year. Excel in those areas of food safety practices that have proven to directly reduce the occurrence of foodborne illnesses such as in cooking, cooling, reheating, and personal hygiene. In the past year no confirmed foodborne illnesses have occurred. At least one extra manager or employee must be a currently “certified food handler” by the Vineland Health Department or a similar agency; and an extra effort must be made towards food safety. This includes a minimum of 8 hours of training on food safety/sanitation per year, daily food temperature logs, self-inspections of establishment on a weekly basis, and 75% of food handlers in establishment are currently certified in a food safety/sanitation course. The Vineland Health Department applauds this year’s recipients, and we thank them for their hard work! Working to control the spread of contagious diseases through education, counseling, screening & immunizations. Birth, Marriage, Domestic Partnerships, Death Certificates. Also, Marriage, Civil Union, Domestic Partnership License Applications & Corrections filed with the State. Protecting & improving the health of Vineland residents by preventing or eliminating disease and injury. The Emergency Medical Service Division operates three ambulances around the clock.